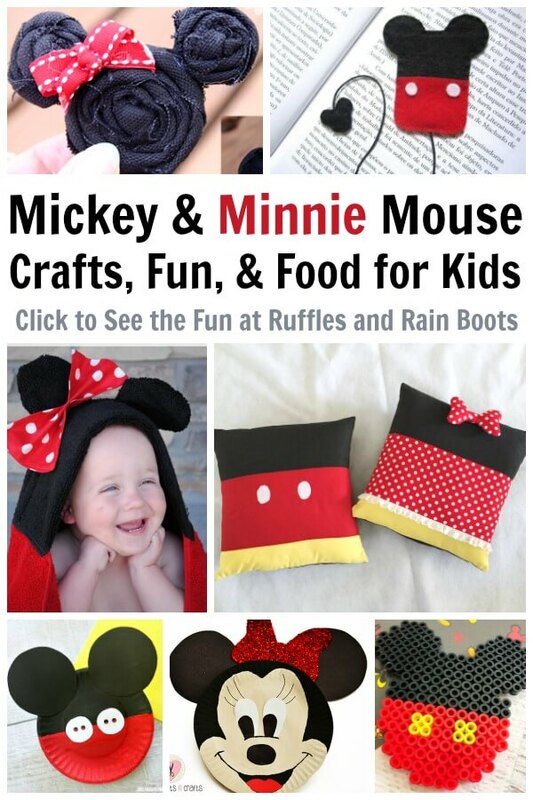 These Mickey Mouse crafts are perfect for Mickey or Minnie Mouse birthday parties, playdates, or just to set up for fun. 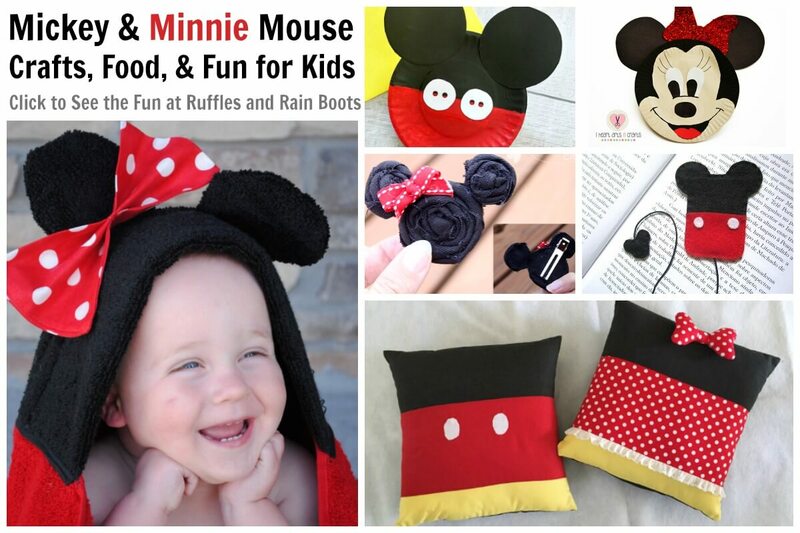 Whether a fan of the classics or the newer Mickey Mouse Clubhouse or Roadster Racers, these crafts and fun food ideas have you covered. I know you’re probably here for a DIY project, but how about a little inspiration? I’m on Etsy a lot (because I’m a seller) and found the most adorable things too good not to share. If you’re the crafting type, make something with these Mickey Mouse SVGs (only $1.50)! This amazing set of Mickey party supplies is like a one-stop shop. Just add balloons. If you’re shopping for a girl, this Minnie Mouse hair bow might be just the thing. 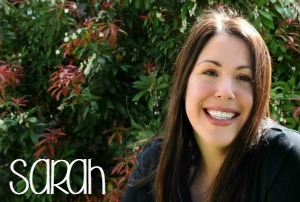 For a lasting gift, this Mickey Mouse placement with a child’s name is a great idea. These Minnie Mouse paper plates would be so fun to set up during a Mickey Mouse party or, better yet, a Minnie Mouse party! If you have very little ones, the next style might better suit their age. 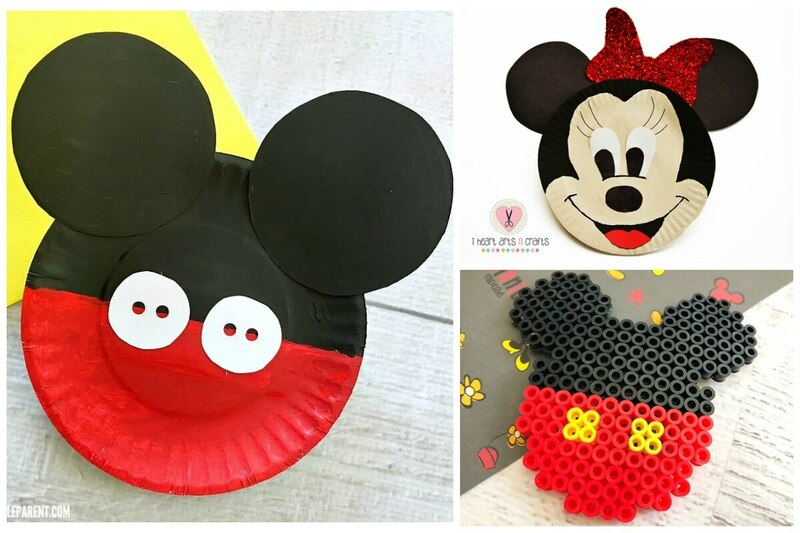 This Mickey Mouse plate craft is perfect for the young Disney fans. If you’re looking for Mickey Mouse Clubhouse party ideas, you can easily adapt this setup for all the characters. For older kids (with adult supervision), this Perler bead Mickey Mouse magnet is the bee’s knees. And because they are primary colors, you can buy Perler beads in bulk and save! Here is a set of black, white, and red Perler beads (I know because I just added them to my cart!). Just add a yellow pack of Perler beads to your cart and call it done! I can’t wait to set this up for my daughter! Oooh, Disney fun for little ones! I used to make my daughter busy bags because they are the BEST for toddlers. These Mickey and Minnie Mouse shapes would be perfect in mom’s bag. The one in the picture is made with felt and sewn, but little ones can make this Mickey Mouse bookmark with cardstock paper, glue, and a ribbon. My daughter LOVED this (we made it from paper) – it was quick to set it up and put it together. Oh. My. Goodness. This set of Mickey and Minnie Mouse pillow covers are SO stinking adorable and can be easily customized for a little one’s favorite characters. This rolled fabric Minnie Mouse hair clip is positively adorable (and yeah, it’s as easy as it looks)! 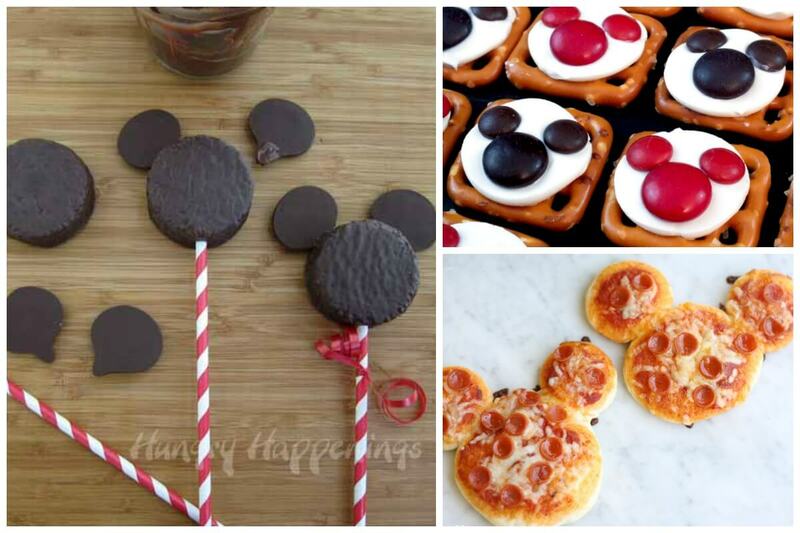 Because you’ll likely work up an appetite, make one (or more) of these Mickey Mouse food ideas. For a playdate, these adorable Mickey Mouse pretzel bites would bring the smiles. If you like Hostess snack cakes, this unbelievably quick Mickey Mouse dessert is sure to please. If you’re looking for a fun foo, serve these adorable (and ridiculously easy) Mickey Mouse mini pizzas. If you’d like something a bit more traditional, these Mickey Mouse Rice Krispies treats are going to be a huge hit. If it’s cold where you are, try this Coco-inspired Mexican hot chocolate. 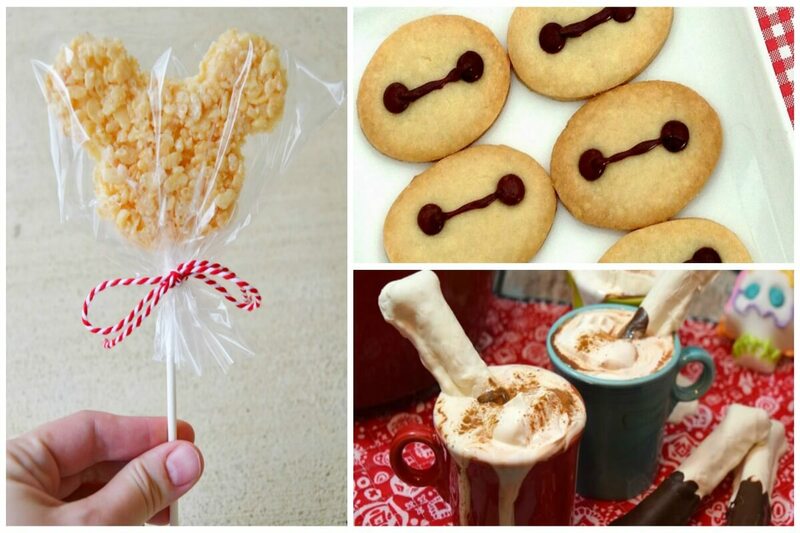 In all her fabulousness, this mom even made bone-shaped sugar cookies! She’s a definite mom of the year contender and you can be, too, just by adding a Mickey Mouse shaped cookie. , you can use her easy recipe. 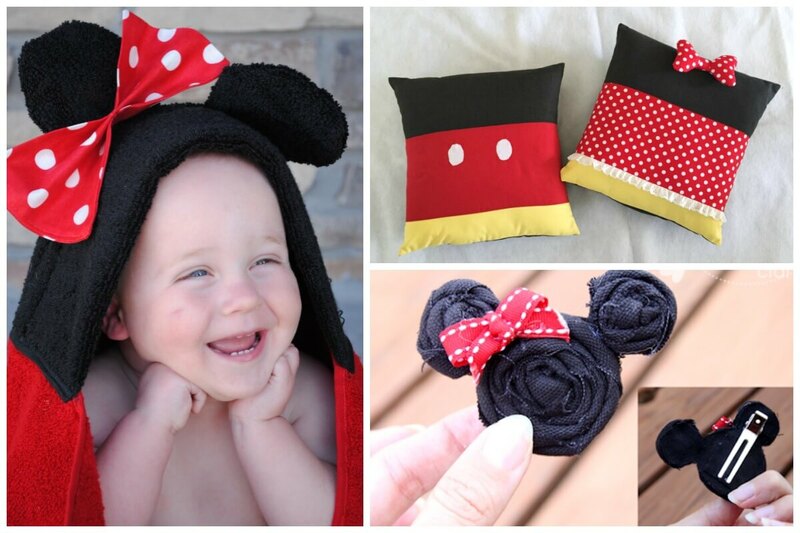 Which of these adorable Mickey Mouse crafts will you make first? Or are you making Minnie Mouse crafts? Let us know in the comments. Before you go, would you please share this fun group of Disney crafts to your Facebook page or save it to Pinterest? Your shares are how we grow and we are sincerely thankful.